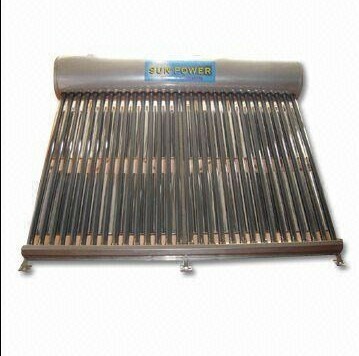 This soalr water heater system is widely domestic used. 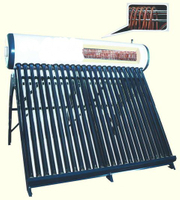 Stainless steel solar water heating system is widely domestic used. 1. 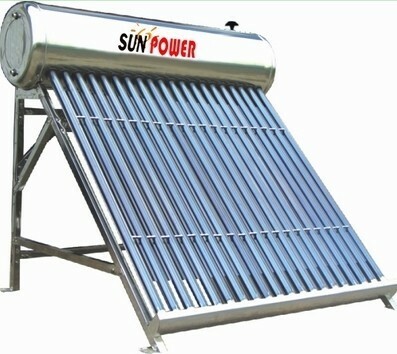 Water tanks are made by machine. Flower design pressed on aluminum alloy (or stainless steel) shell, beautiful and durable. 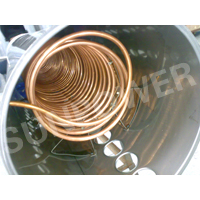 Inner water tank is made of super SUS304 food grade stainless steel plates, welded by argon arc. Water is pure and drinkable. 2. 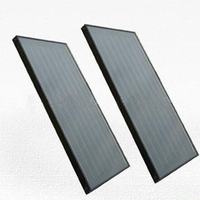 Warm keeper of water tanks adopts polyurethane's cellular, thickness is 55mm. 3. 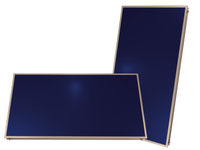 Aluminum alloy (or stainless steel) supports are connected by bolts and nuts, firm and stable, easy to install. 4. 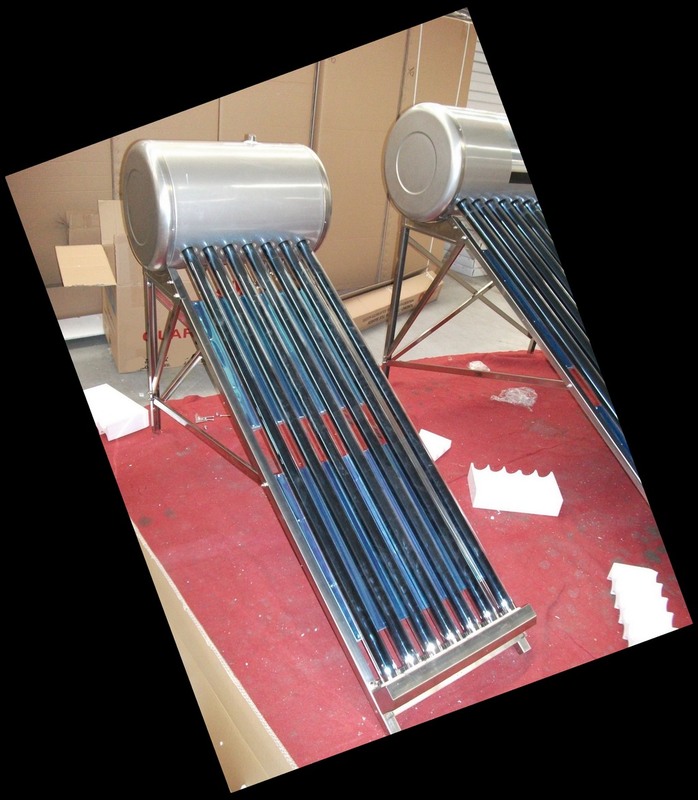 Between vacuum tubes and inner water tank, we adopt milk white silicon glue rings to connect and seal them. 5. 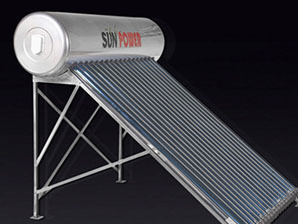 The tubes and supports are adjustable, power bearing is average, and can assure the vacuum tubes to use long time. 4. Resist 25mm hail, using life can last 15 years. 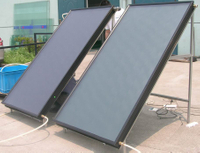 This solar water heater system is not a good choice for users in cold areas.